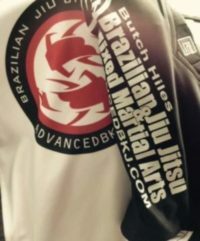 "One year ago I walked into Butch Hiles Bjj and Mma gym and decided to start BJJ. I didnt know what i was getting myself into, but after getting beat day after day i knew this was something i wanted to do the rest of my life i know im no black belt but im having fun and still learning ive got a long way to go but i will get that black belt one day." "You're doing a great job man, wish I could dedicate myself to the gym like you do to the sport." "Man you're doing great things for WV, keep up the strong work." "Great night. Thanks again Butch for helping get mma legal here, and putting on great fights. Your a hero of mine "
"My children just started coming to Jujitsu classes 2 weeks ago and I have to say that we love it there! Omari is wonderful with all the kids! As a parent, I enjoy watching all of the hard work that the instructors and kids put in. What my children are learning is skills that will stay with them for the rest of their life...confidence, self esteem, and self defense! We see people of all ages coming in to take a class or train...what you have created is a great learning and fitness environment for everyone. My husband and I are even thinking about taking classes! Keep up the awesome work you and your team do to change lives!!!" "You can't go wrong with Butch...I don't usually get involved with people I do business with, but these guys are class acts and very good people." "Seen u on Inside MMA the other night with some highlights! Glad to see this sport coming to my backyard and thought you did a real professional job in the interview. Thank you for working hard to do that!" "Butch you are simply just the man in general! You rock!" "Had a really nice time at the self-defense seminar today and learned a lot, thanks Butch!"